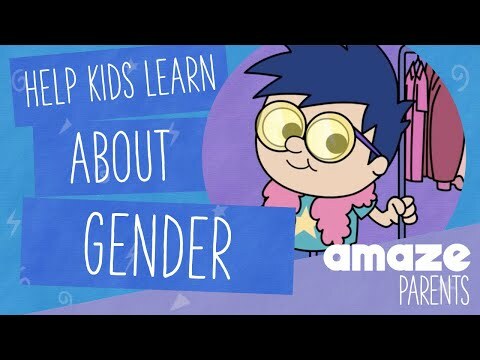 Children receive messages about gender from the time they are born, often based on rigid expectations about the proper roles for girls and boys and men and women, and reinforced through clothing and toy choices, television shows, advertisers and society at large. Enforcement of strict gender norms comes at the expense of young children who simply don’t understand why they cannot wear what they want to wear or play with the toys they want to play with. Children who are bullied or put down for not adhering to these expectations may feel isolated and experience low self-esteem. It’s important to allow children to be themselves and to celebrate all the things that make them uniquely who they are. See our discussion starters for ways you can start a conversation with your child and our amaze jr. Parent Playlist for more information on how to prepare for age-appropriate conversations with your children.